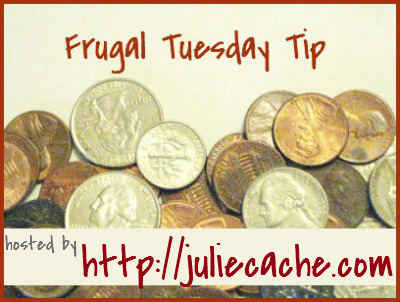 It’s my favorite day of the week — you generously share your tips and recipes for living frugally with me! Whichever blog that you choose to link up your post, it will show up on all three websites listed below! As a reminder, this linky is a way to share your posts with 3000 people on what you are doing to live the frugal life. We hope your tips can help us get ready for Mother’s Day this week. If not, don’t worry! Frugality can be gardening, sewing, making your own cleaning supplies, cooking at home, conserving energy, etc. Let us know about your great ideas! Julia, I have to apologize for not having the button posted on my blog…it was an oversight this morning as I was rushing out the door on a road trip. I am trying to post it now on my blog and it isn’t working. Can you please advise. Thanks! Oh dear! I have some technical mishaps at my site. But I would like to add this link as soon as it got fixed. I’d love to have something more similar to include too.